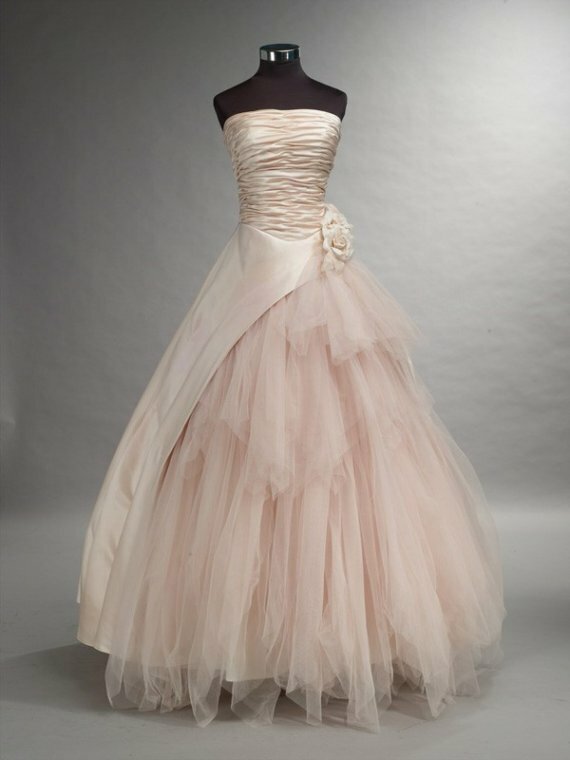 Pink wedding dresses are on the up as more and more brides search for a wedding dress that is just a little different. 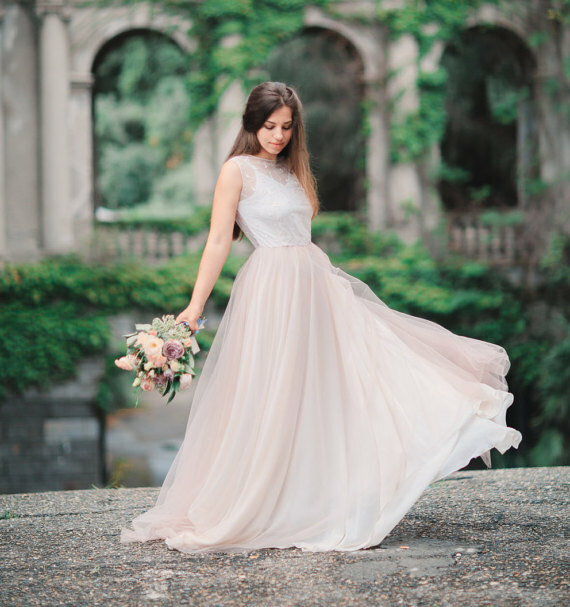 These gowns offer the delicate look of the white, champagne and ivory dresses but have a warmer and more princess look about them. 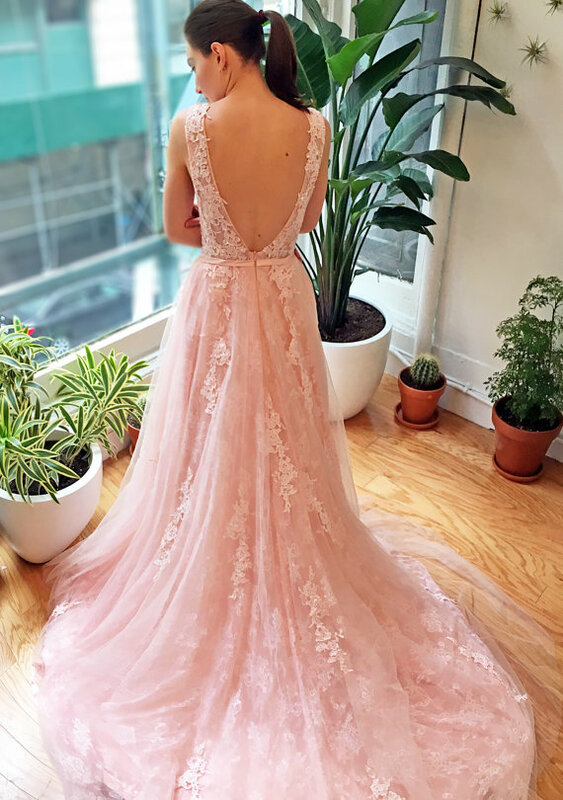 We believe that pink looks best on wedding dresses that have a soft look to them, with layers of delicate and sheer fabric, like tulle for example. This allows the light to shine through the different layers giving an even softer and dreamier effect. 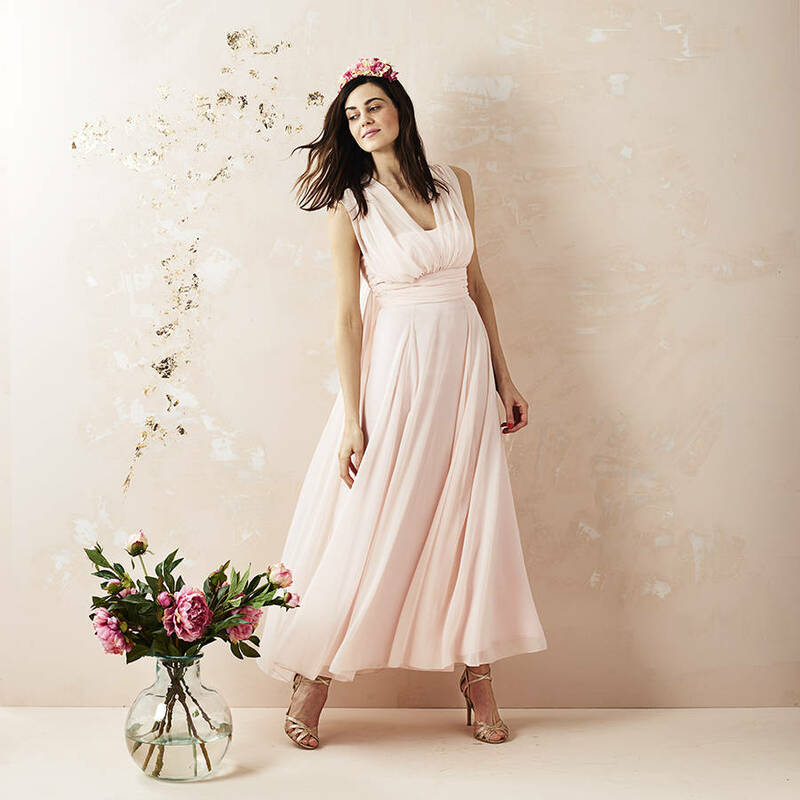 If you have always wanted a plain satin tight fitted gown then pink is possibly not the best colour to go for. 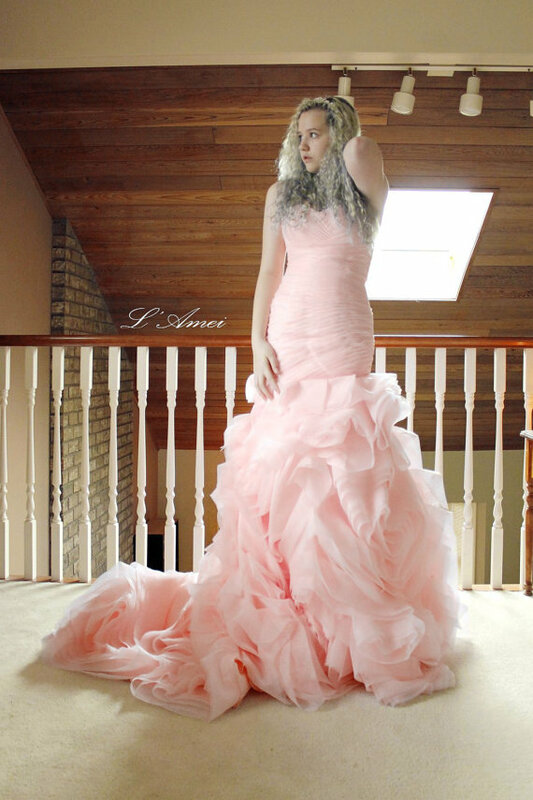 Below we have picked a selection of beautiful pink wedding dresses that can be bought online. 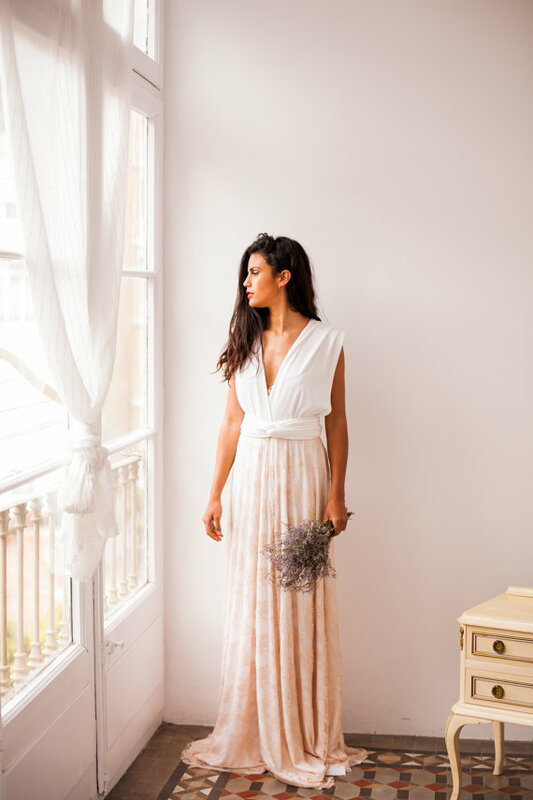 These wedding dresses are made in the UK, USA, Canada, Russia, Spain, Italy and other countries however all ship internationally and have five star reviews on the selling website. You can view the price and shipping costs for each dress by clicking on the relevant links. 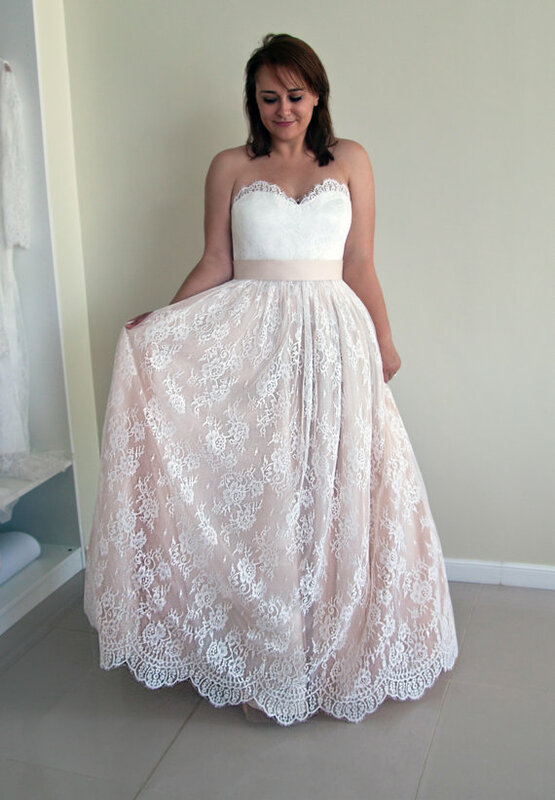 LAmei - Custom Made Rose Pattern Organza Sweetheart Bridal Gown with Corset Back. Click here to view more wedding dress articles on Wedding Heart.